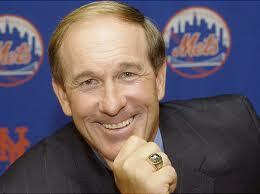 Hall of Fame catcher and ASA Lifetime Member Gary Carter died Thursday after a battle with brain cancer. He was 57. Affectionately known as the “Kid” during his 19-season major league career, Carter was elected to the Hall of Fame in 2003, his sixth year on the ballot. He was best known for his time with the Montreal Expos and New York Mets. "His nickname 'The Kid' captured how Gary approached life," the Mets said in a statement. "He did everything with enthusiasm and with gusto on and off the field. His smile was infectious. ... He was a Hall of Famer in everything he did." Carter was a career .262 hitter with 324 homers and 1,225 RBIs. He hit at least 20 homers in nine seasons and topped 100 RBIs four times, leading the National League in that category in 1984 when he drove in 106 runs. Among catchers, Carter ranks third all-time in RBIs and games caught, and fifth homers and runs scored. He was an 11-time All-Star, a three-time Gold Glove winner and a five-time Silver Slugger. Additionally he was named to the Sporting News NL All-Star team six times. Carter was named the MVP of the 1981 and 1984 All-Star Games, and he was the starting catcher for the 1986 World Series champion Mets. In the team’s famous comeback in Game 6 of that World Series against the Boston Red Sox, it was Carter’s two-out hit that ignited the improbable rally and resulted in a come-from-behind 6-5 victory. "I am so sad! The Kid has left us," fellow Hall of Fame catcher Johnny Bench tweeted. "I started calling him Kid the first time I met him. He was admired and loved. Thank you for our past." Former MLB pitcher Rob Dibble tweeted: "I've never met a man who made me want to do more for other people, be a better Father, Husband, friend. He was a joy to be around." Carter was diagnosed with glioblastoma, an aggressive, fast-moving brain cancer, in May. About a week before the diagnosis, four small tumors were found on his brain after Carter had complained of experiencing confusion and fatigue. Since that diagnosis, Carter’s family has maintained a blog, which they used to update the public on the Hall of Famer’s condition. On Jan. 21, Carter’s children accepted the Milton and Arthur Richman “You Gotta Have Heart” award for their father at the Baseball Writers of America awards dinner in New York. Those in attendance gave Carter’s two daughters and one son a lengthy standing ovation when they stepped on the stage. “I'll be telling my Dad about that standing ‘O.’ He likes that a lot,” Kimmy Bloemers, Carter’s daughter told the audience, according to the New York Daily News.